I’m pretty sure the system is on beta, this is the current version per the dashboard. 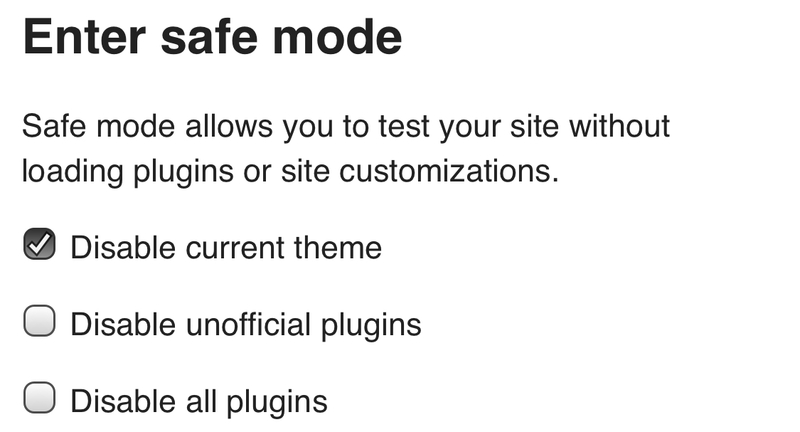 It should work on latest, as we provide this plugin by default in our hosting. should I do a docker rebuild task for good measure? is it somehow possible to add a checklist button into the composer? so that users can integrate this feature more easily. thanks for this excellent plugin! We just wanted to let you know about a minor issue where the checkboxes are rendered slightly displaced when using this plugin together with the likewise excellent Daemonite Material Theme. We already filed an appropriate issue including a workaround for your reference there, see Rendered checkboxes in post content slightly off · Issue #15 · Daemonite/discourse-material-theme · GitHub. However, it might have to be fixed by an improvement on the discourse-checklist side, so we are also posting this here. the site is also being maintained to the latest version, being v2.3.0.beta1 +45. Has anyone got any suggestions of what I could try to get checkboxes working again? 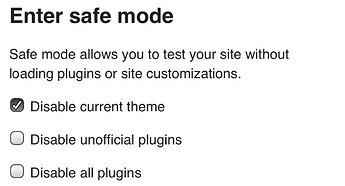 Do you have the Site Setting “Checklist enabled” checked? Hmm… I can’t reproduce the issue you are seeing. My sandbox on latest is running it fine. Is there a way I can completely remove the plugin then reinstall it? The plugin has worked in the past, then one upgrade, it stopped working and hasn’t worked since. Are you 100% certain your app.yml is pointing to discourse/discourse-checklist and not cpradio/discourse-plugin-checklist? @cpradio if I wanted to reinstall this plugin, would this be the best approach? Or will this miss removing any files that might be left somewhere? In any case, discourse-voting was disabled in the admin console before this above test. my account is an admin account. I don’t fully understand where or how I apply this suggestion, can you please tell me where this GUI option is? I assume that I use the /safe-mode when I’m doing the ./launcher rebuild app command? Will my selection of the options impact the whole site, or will it just cause the site to render according to the selections for that client only? Also, should I try this on the problem usernames instead of my one(which seems to be working ok)? Are those accounts all using the same theme? Aside from admin how do they differ? Have you repro’d through impersonation? No user has customised their theme, including my admin account. I can’t see any other differences amongst the accounts. I just impersonated one user and I’m able to see checkboxes rendering properly.